The documents, data, information and other materials (collectively the Material(s)) contained on the Web Site (the Site) are provided by Six Continents Hotels, Inc. , a company within the InterContinental Hotels Group (“IHG”), exclusively for non-commercial, individual use by prospective and confirmed IHG guests and/or IHG® Rewards Club Members to inquire about or make travel reservations and related services and for no other purpose (collectively, “Authorized Users”). BY ACCESSING, USING, VIEWING, TRANSMITTING, CACHING OR STORING THIS SITE OR ANY OF ITS SERVICES, FUNCTIONS, MATERIALS, OR CONTENTS, YOU SHALL BE DEEMED TO HAVE AGREED TO EACH AND ALL THE TERMS, CONDITIONS, AND NOTICES IN THIS SITE (AGREEMENT) WITHOUT MODIFICATION. If you are not an Authorized User, and if you do not agree to the terms of this Agreement, you may not use this Site or download any Materials from it. INTELLECTUAL PROPERTY RIGHTS. This Site and the Materials contain and reference trademarks, patents, trade secrets, technologies, products, processes or other proprietary rights of IHG and/or other parties. No license or right to or in any such trademarks, patents, trade secrets, technologies, products, processes and other proprietary rights of IHG and/or other parties is granted to or conferred upon you. Reproduction or storage of materials obtained from this Site is subject to the U.S. Copyright Act of 1976, Title 17 U.S.C. No Materials may be reproduced, distributed, posted, displayed, uploaded, or transmitted except as expressly permitted herein. You may not remove any copyright, trademark notice or proprietary notices from the Materials; or use the Materials or this Site except as permitted in this Agreement. The use of any Materials from the Site on any other internet, intranet, web or other site or computer environment is prohibited. You may not utilize framing techniques to frame any IHG trademarks, logos, or other proprietary information (including images and text). You may not use any meta tags or any other hidden text utilizing our name, trademarks or other proprietary information. 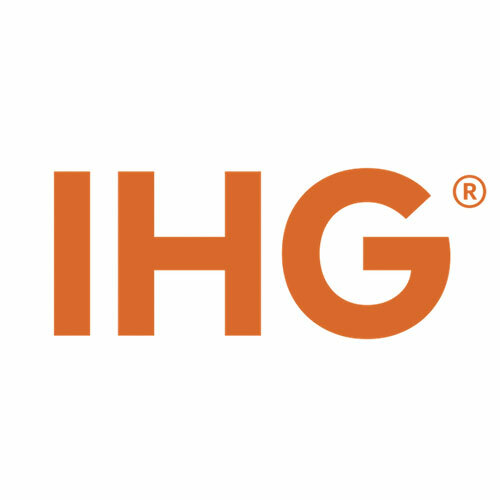 InterContinental Hotels Group is a trade name describing the subsidiary companies of InterContinental Hotels Group PLC involved in the hotel business around the world. In the U.S. and Canada, Holiday Hospitality Franchising, Inc. is the franchisor/licensor of most IHG brand names and marks. Trademarks owned by an IHG company may not be used or displayed publicly without the prior written permission of the owner of the marks, except for downloaded logos and photographs as provided for elsewhere on this site. Any rights not expressly granted herein are reserved.